Exciting Updates for Assassin's Creed Movie! And Michael Fassbender Is Still On Board! Futurelooks was down at PAX Prime 2012 in Seattle this past weekend to check out the latest PC gaming hardware, games and accessories. On our list of visits were a number of companies that you know and love. This event is completely driven by the fans and provides one of the friendliest and most accessible video game expo experiences in North America. Because these companies took the effort to make it to PAX Prime 2o12, it's safe to say that they really do care about all of you. The video above features companies such as Kingston Technology, GIGABYTE, ASUS, EVGA CORSAIR, Cooler Master, NZXT, G.Skill and more! 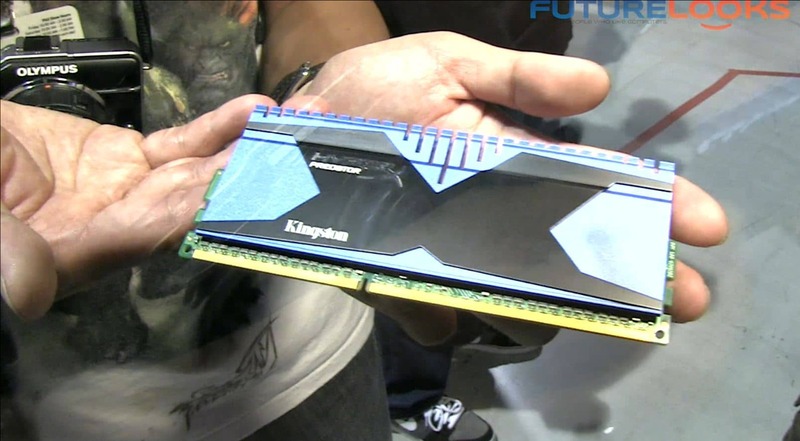 At CES 2012 this year, Kingston announced a yet unnamed memory module design. A couple weeks ago, they were released and at PAX Prime 2012 we finally got a chance to do the touchy feely with them. They look great and come in speeds up to 2666MHz and capacities of up to 32GBs. We'll be reviewing the fastest of the bunch very soon. 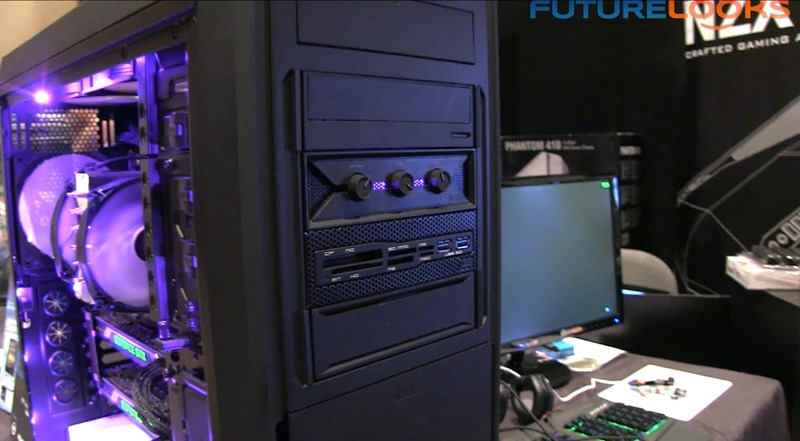 NZXT was showing off two new products including their HUE lighting system that provides infinite color adjustments that is unique. Normally LED strips are red, green or blue, but this system does any color you want. 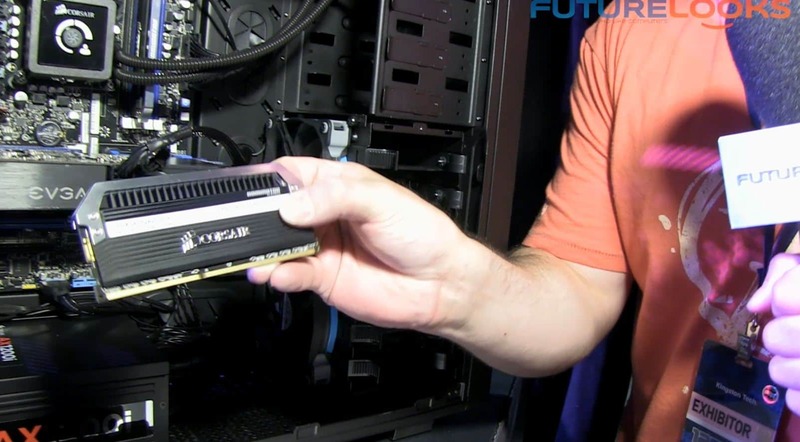 Also being shown off was their Aperture memory card reader which allows any case to have the power of a USB 3.0 reader and an additional pair of USB 3.0 ports. 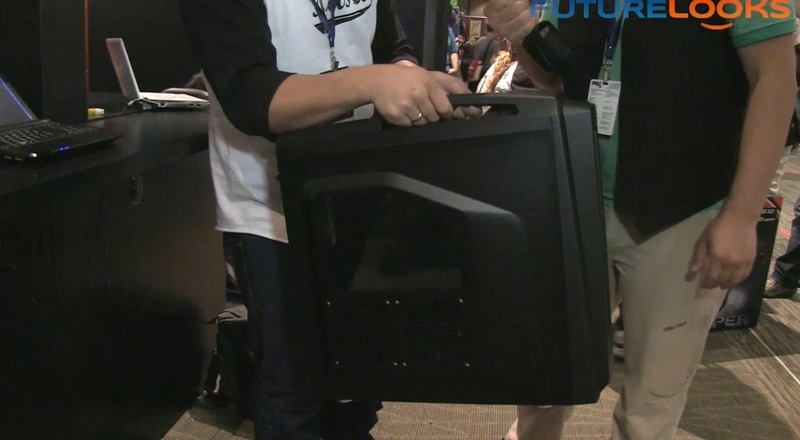 Cooler Master showed off two new products from their CM Storm gaming division. The first one was the new Scout chassis that is an update of the original. The "Scout II" has enhanced cable management, space for the longest graphics cards, and is much easier to carry to your favourite LAN party. It will also be available for $99.99 at most major retailers. Also very affordable was their new CM Storm Sonus headset at $59.99. It's a full featured headset with large 53mm drivers for better bottom end, a microphone that can be swapped to either side of the headset, an inline volume control, and seems very comfortable and lightweight. 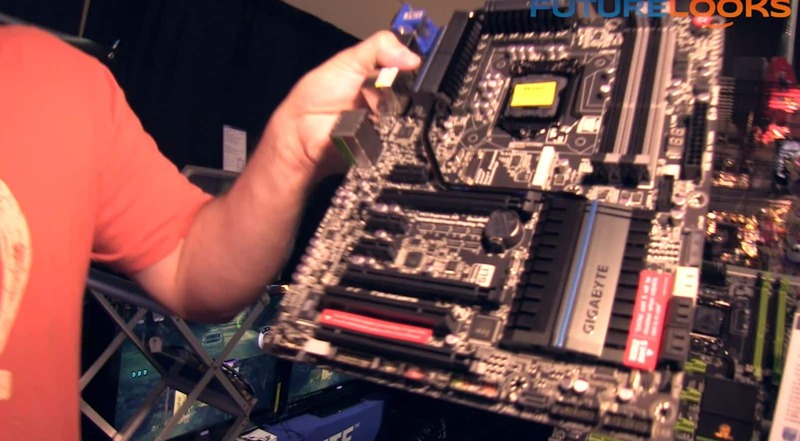 GIGABYTE wasn't showing off any new boards (they are saving that for the Intel Developer Forum), but we did have a chance to see the GA-Z77X-UP5 TH and X79S-UP5 in person. The Z77X-UP5 TH has two Thunderbolt ports as opposed to the single one that most manufacturers are including and they also have the company's new Ultra Durable 5 technologies which include a number of upgrades, most notably, the switch to the PowIRstage IR3550 ICs which drop temperatures around the CPU power delivery areas by up to 60C. The company's X79S-UP5 is a genuine workstation board effort with support for XEON processors, ECC memory, and the C606 server chipset by INTEL that all0ws the addition of up to 8 SAS ports onboard. 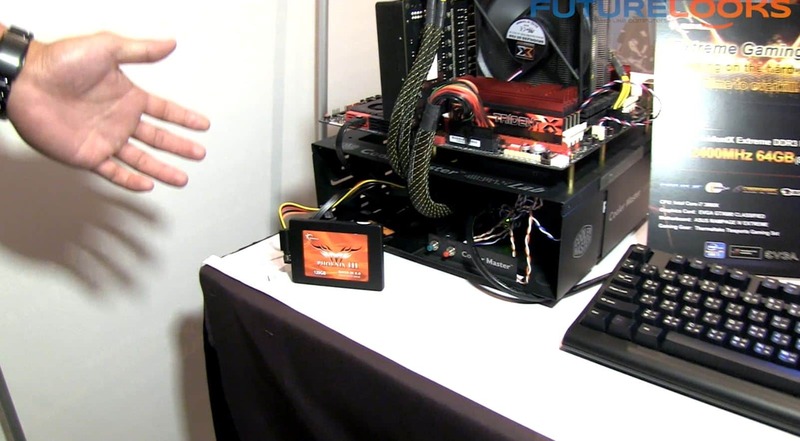 You can check out our COMPUEX 2012 coverage for a more thorough explanation of this board's features. G.SKILL is a relative newcomer to the North American market, but has seen considerable success overseas. Now fully engaged in the US and Canadian markets, the company was showing off a pair of products including their Phoenix III series SSDs which feature 60K IOPS (4K), 550MBs Read/520MB Write speeds and prices range from $100 - 200 for capacities up to 240GB. Their Trident X Series of memory modules come in monster capacities up to 64GBs and is suitable for both work and play in a range of capacities and speeds. 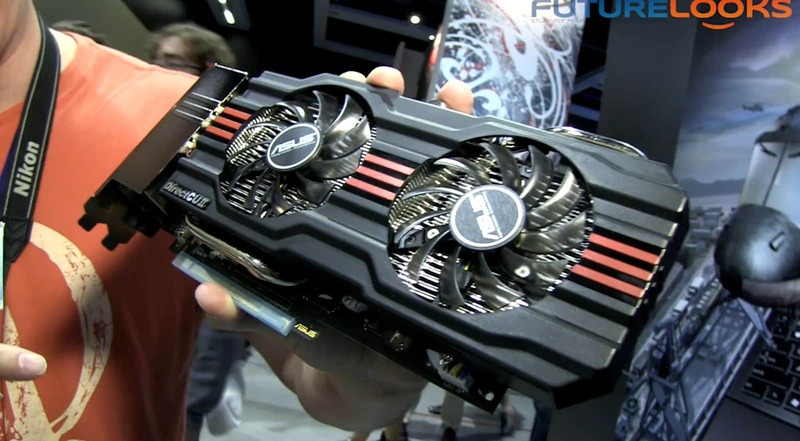 ASUS was showing off a brand new GTX 660 Ti video card with a lot of enhancements that other companies wished they had. Although previous efforts were based on a triple slot design, the new Direct CU II heatsink for this card only needs two slots of space. It has a special Digital VRM onboard and along with the Hynix GDDR5 memory and the direct copper heatpipes, this should be a serious overclocker. The best part of this card is the price which is only $299 US. Expect a review of this to hit our pages in the coming weeks. Although we know them best for their NVIDIA based GPUs, EVGA was showing off their latest power supply effort. The new SuperNOVA NEX1500 power supply is all business with a fully modular design and even individually sleeved cables that enhance cable management. Typically, you have to buy these or sleeve them yourself so it's nice to see a company on trend with the value added stuff in the box. It even has adjustments such as fan speed and voltage via a software utility and a USB header on the PSU. The SuperNOVA NEX1500 retails for $449 US so it's not cheap. But it is 80PLUS Gold and I can tell you for sure that it's one beefy unit. We'll have to see if it's the best of the best when it comes in for punishment. 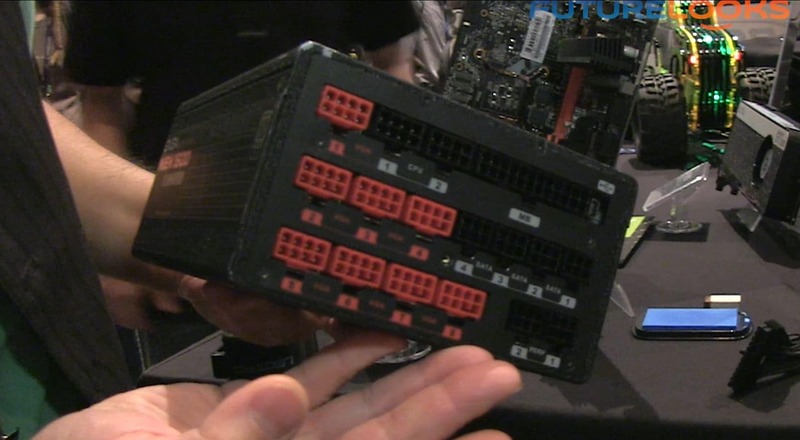 Finally, CORSAIR shows off their new Doninator Platinum modules that run at 1.5 volts and 2133MHz. This means that there's lots of potential to really overclock these if you so choose. They are already CAS9 out of the box and they feature an LED light pipe that makes them glow, which adds a bit of pizazz to an otherwise dull/black interior. INTEL XMP profiles are supported for quick setup and they come in all sorts of capacities and speeds as noted in the press release. They are on their way to the labs for testing along with their new Neutron GTX SSD so stay tuned for both reviews coming up soon. Help Us Improve Our Event Coverage by Leaving a Comment Below!